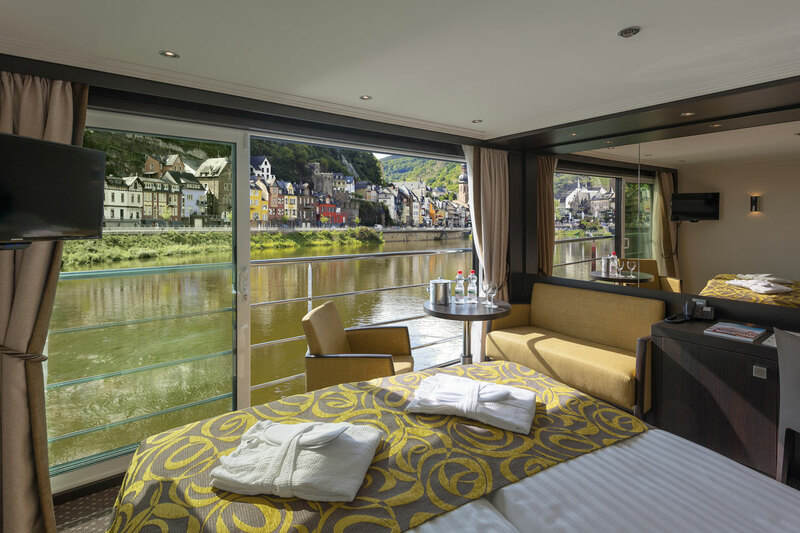 ABOARD THE AVALON TAPESTRY II — Could the best cabins in European river cruising these days be the ones without balconies? 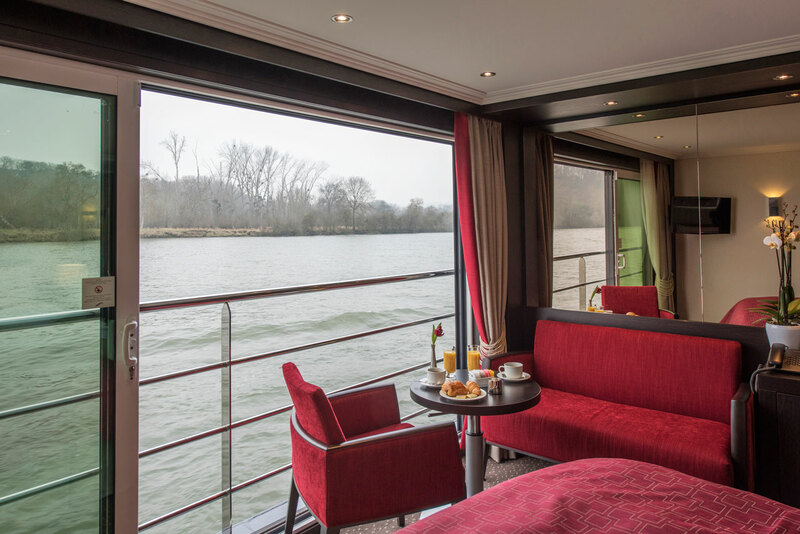 The line’s Panorama Class of vessels, which began rolling out in 2011, feature base cabins that are larger than most on Europe’s waterways at 200 square feet. Dubbed Panorama Suites, they’re modern and stylish with comfy beds and elegant, marble-lined bathrooms. What they don’t have are balconies — and that’s by design. Instead, they offer floor-to-ceiling, wall-to-wall panoramic windows that stretch 10 feet wide and open up seven feet wide. 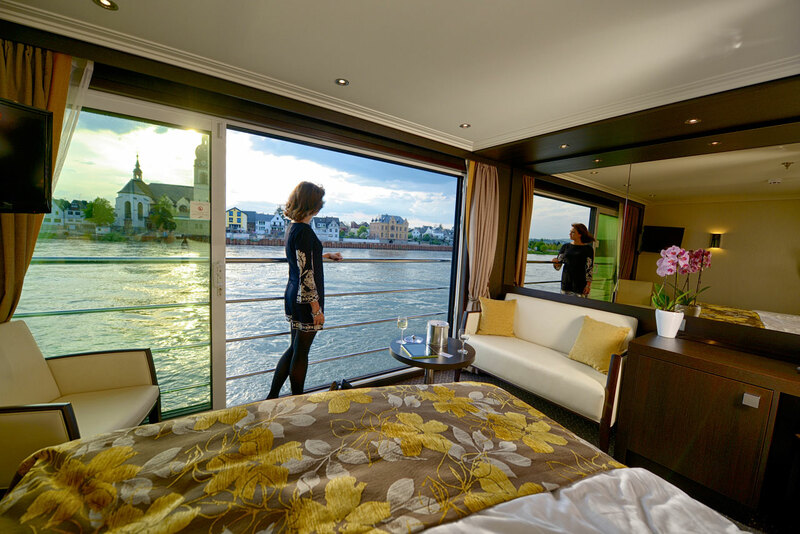 Unlike river lines such as Viking and AmaWaterways, Avalon isn’t joining the arms race to add balconies to river ships. With ocean ships, it’s a relatively easy addition. Just tack them on to the exterior-facing end of cabins. So what if the ship ends up being a little wider. For the most part, it won’t affect where it can go. 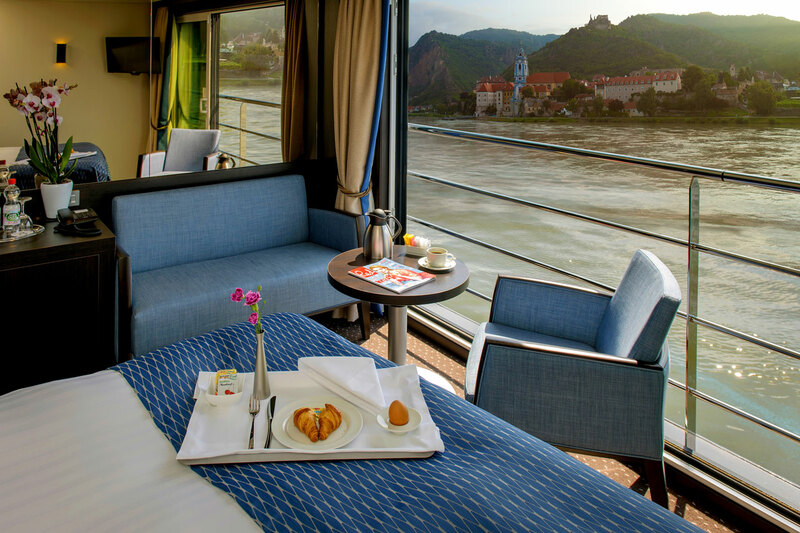 Panorama Suites have small seating areas next to panoramic, wall-to-wall windows that slide open wide. When the windows are open, it gives the feel of being on a balcony. 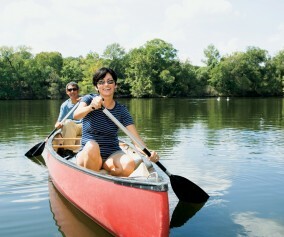 With river ships, it’s not so simple. 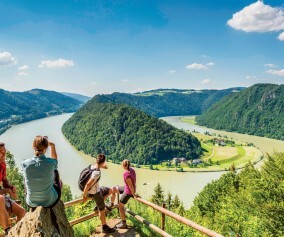 The width of a river ship is limited by the size of the river locks through which it will travel, and locks often are narrow. In Europe, some locks are just 38 feet wide. That means river ship builders have a conundrum. 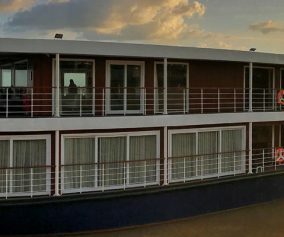 River ships often must be so narrow to fit through locks that there just isn’t room for regular size cabins that also have balconies. If balconies are added, the cabin interiors in turn must be smaller. It’s a zero sum game. Avalon isn’t playing that game. 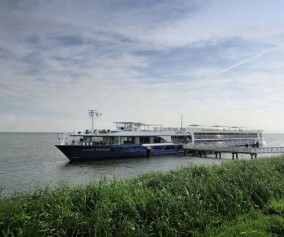 Instead, the line is relying on the unique design of its Panorama Suites to offer the benefits of a balcony cabin without the cost in space. 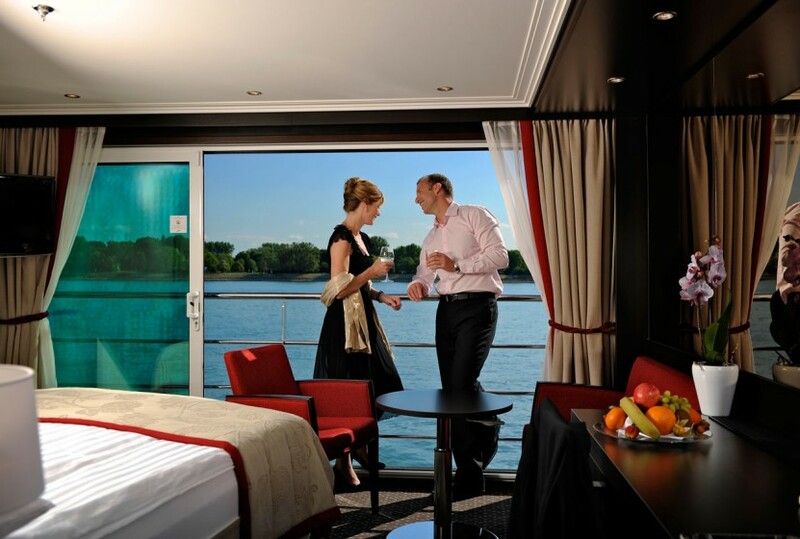 Using the extra room provided by forgoing traditional balconies (and by making cabins somewhat wider), the line is able to fit a small seating area into its Panorama Suites adjacent to the wall-to-wall panoramic windows, and when those windows are opened wide it creates the feel of being out on a balcony. An “open-air balcony,” they call it. 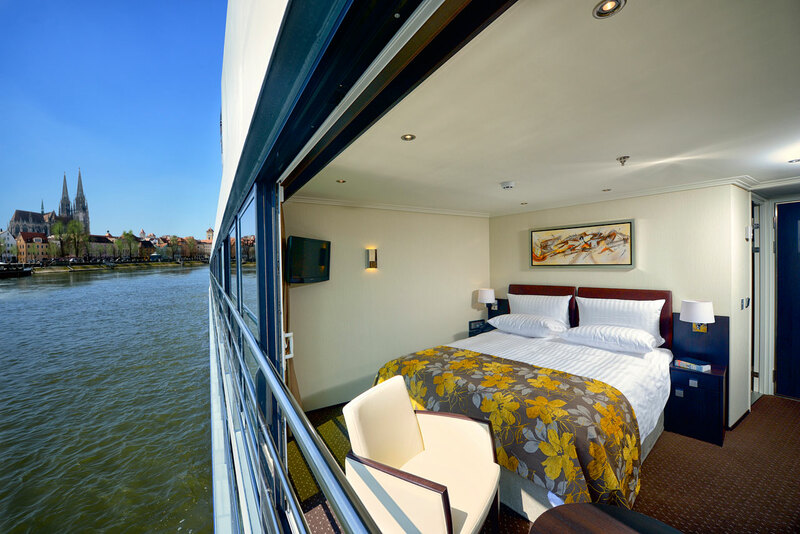 Making up nearly 80% of cabins on the line’s Panorama class ships, the Panorama Suites also are unusually configured so that beds face the wall-to-wall windows, offering cruisers a panoramic view even when they’re lying in bed. 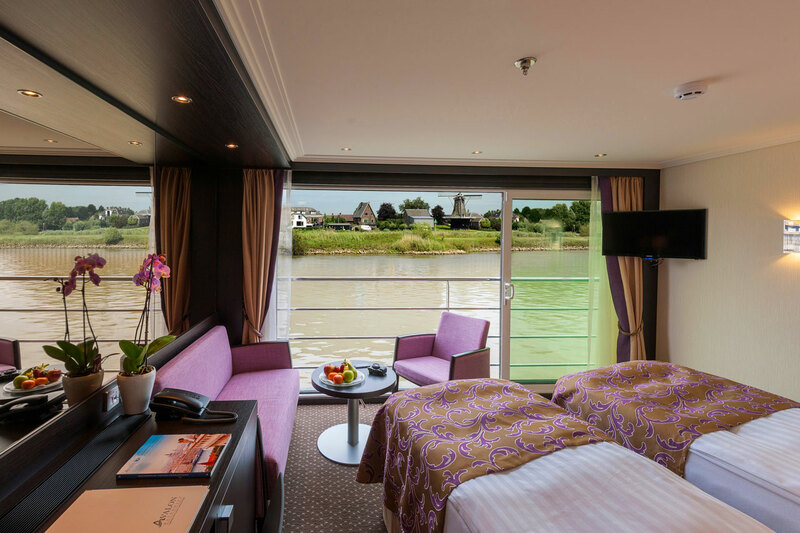 Due to the narrowness of river ships, most river ship cabins have beds that are aligned sideways to the windows. 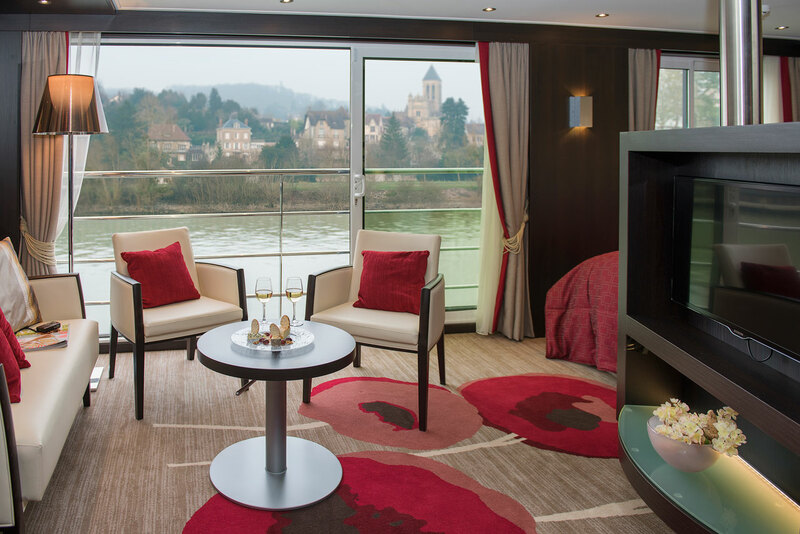 In short, Avalon’s Panorama Suites are all about engaging with the passing scenery of the river. They just do it without the crutch of an official balcony and the sacrifice of space that would require. Click here to see the story on USA Today’s website.